Cleaning out the junk drawer in the kitchen has spiraled into several other tangential projects. 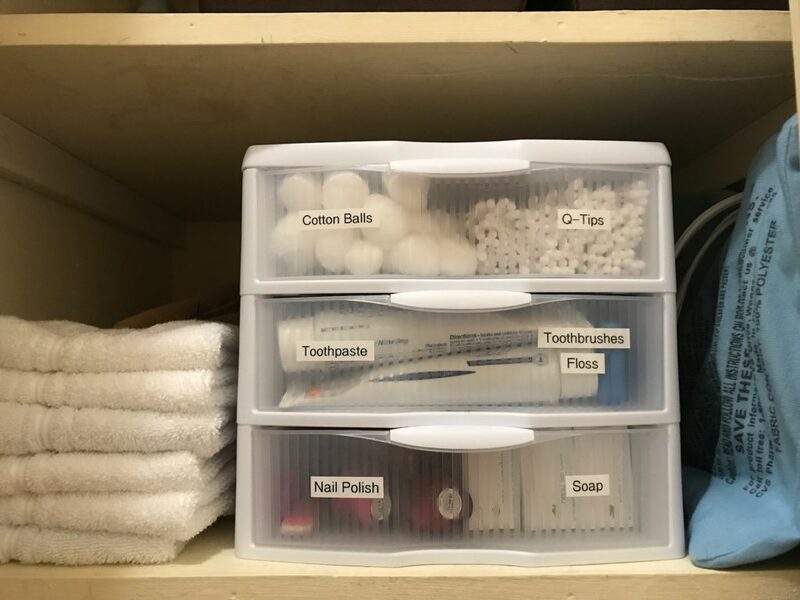 If the junk drawer provides a window into the soul of a house’s organization, ours sadly demonstrates a lack of order! Just makes me want to throw everything out and start over. Which I basically had to do anyway, since it was apparently almost all expired. 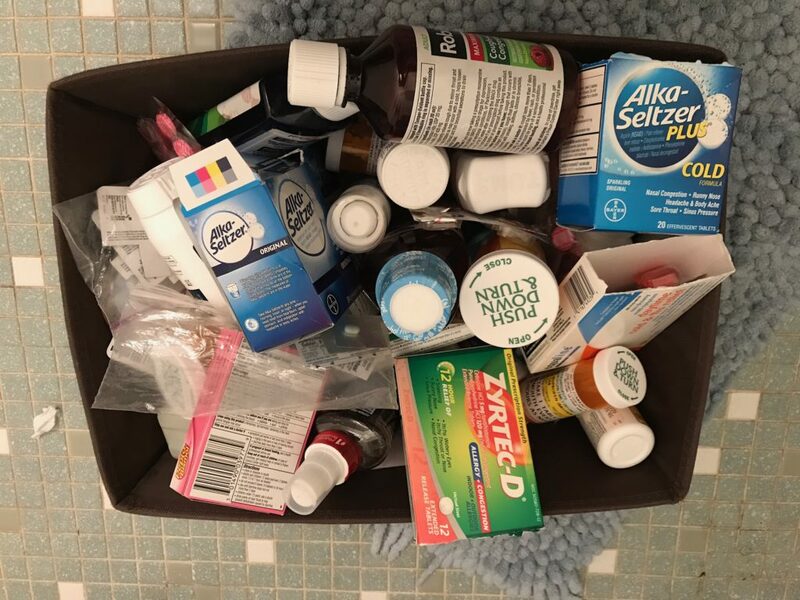 I did verify from the FDA website that most medicines can be discarded with household trash. To be honest, though, some of the information about how to properly dispose of medicine is a bit confusing. The FDA says to flush some serious drugs (we didn’t have any), but my county website says they’re bad for the streams. It looks like the DEA sponsors take-back events a few times a year, and the next one will be October 28. Trying to figure out how to properly throw away our stupid old medicine meant I left it all in a pile for weeks before finally scratching our information out and just tossing it the night before pick-up. Meanwhile, I did go to Target and replace the items we need to keep on hand and just tidied up the box. 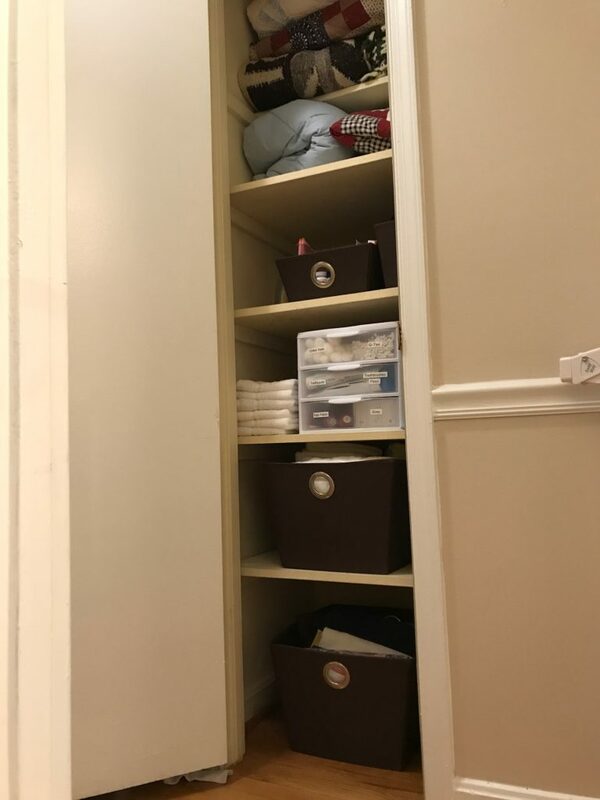 But then the rest of the closet started to bother me. 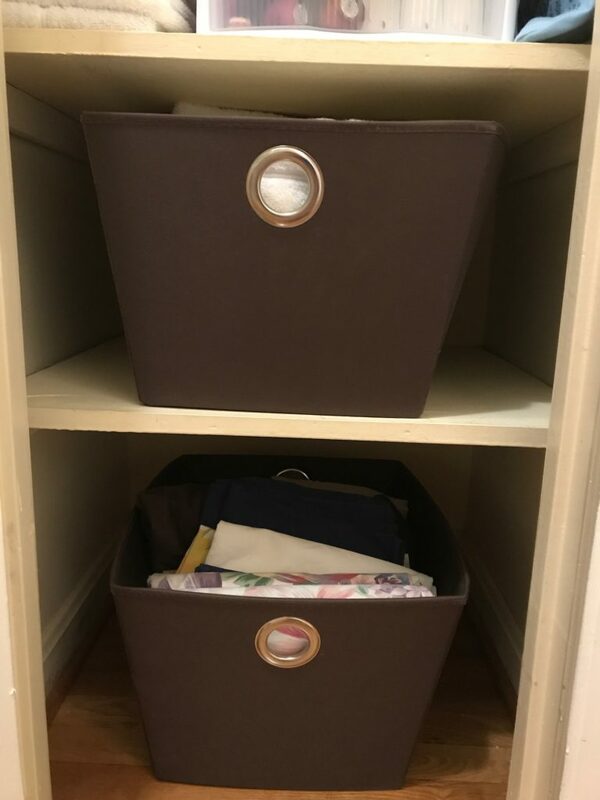 So I placed all of the towels and sheets in matching baskets we already owned. 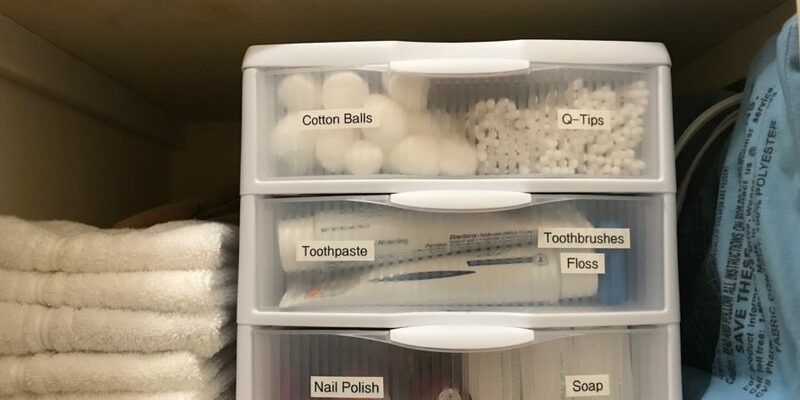 Some items went into a small set of plastic drawers, and I busted out the trusty old label maker. 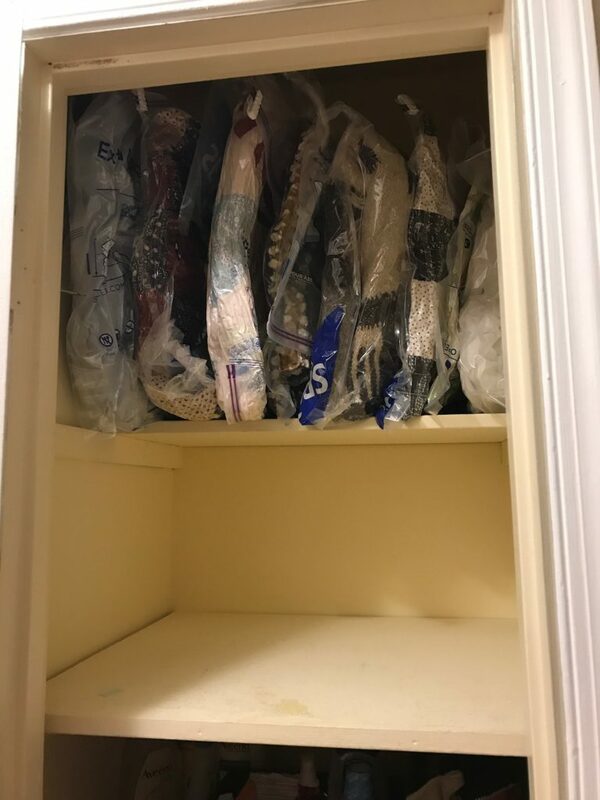 Throwing away the packaging saved a ton of space! The quilts and bedding took up way too much room. 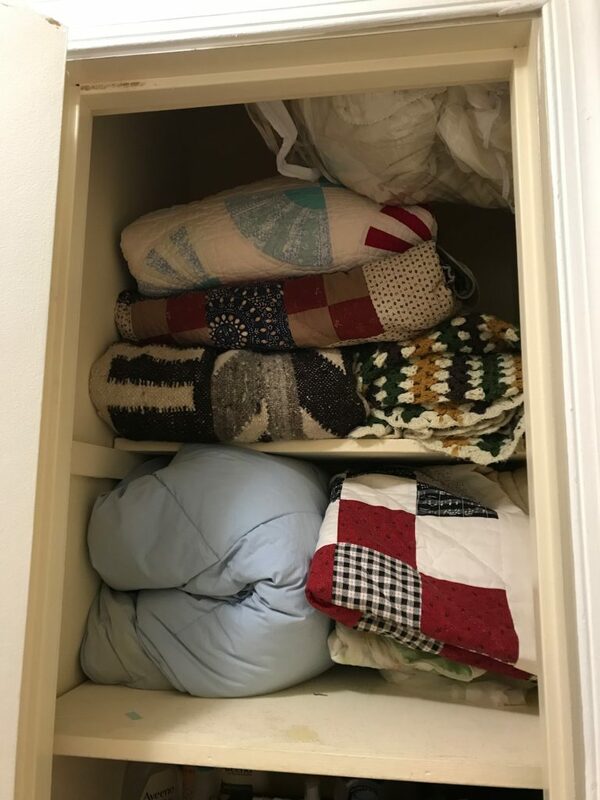 We really don’t have much closet space in this house, and every time I had to take a quilt out, everything came crashing down. 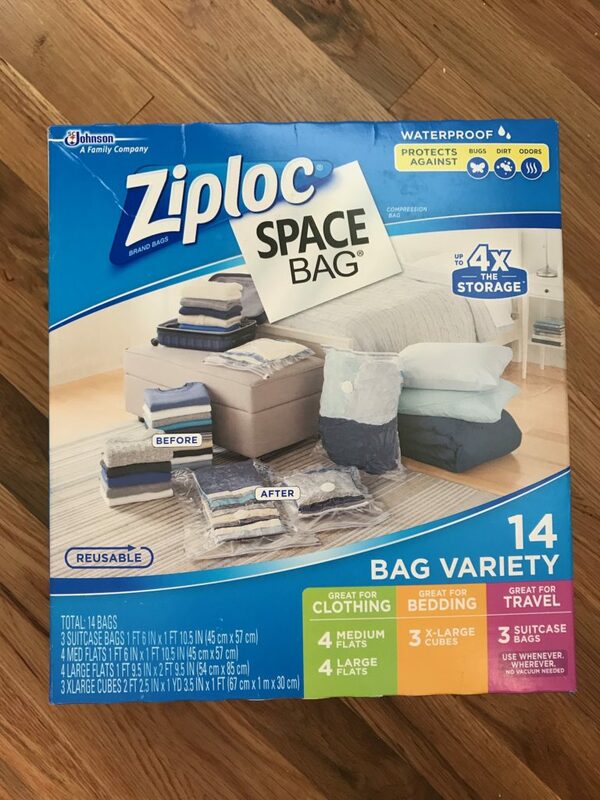 I picked up these Ziploc Space Bags at Costco the other day. How have I never heard of them? We now have an entire shelf to spare! 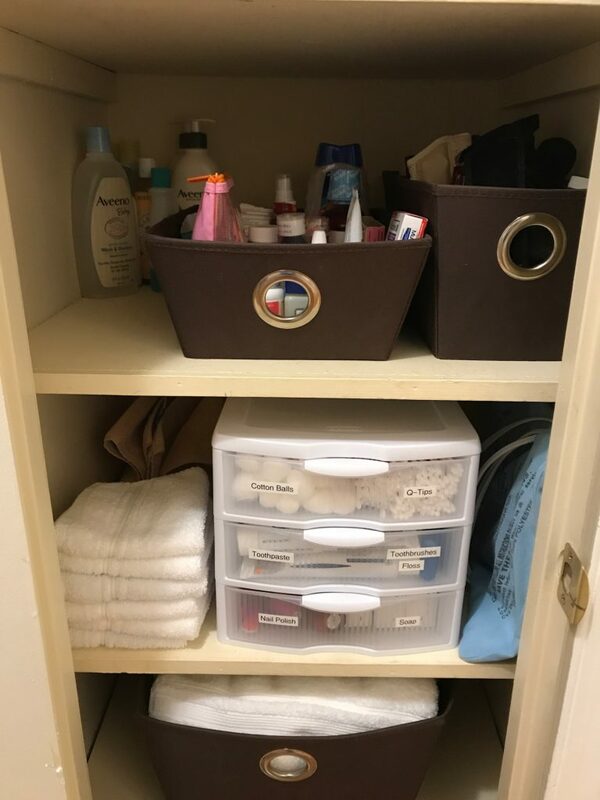 The junk drawer still waits to be organized…but the linen closet is at least on track! I would like to pretty it up a smidge, and hopefully can share that with you next week.